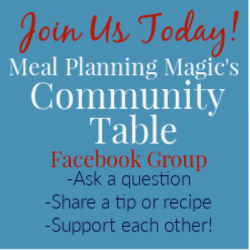 These Budget Friendly Tuna Rollups are delicious and so simple to make. 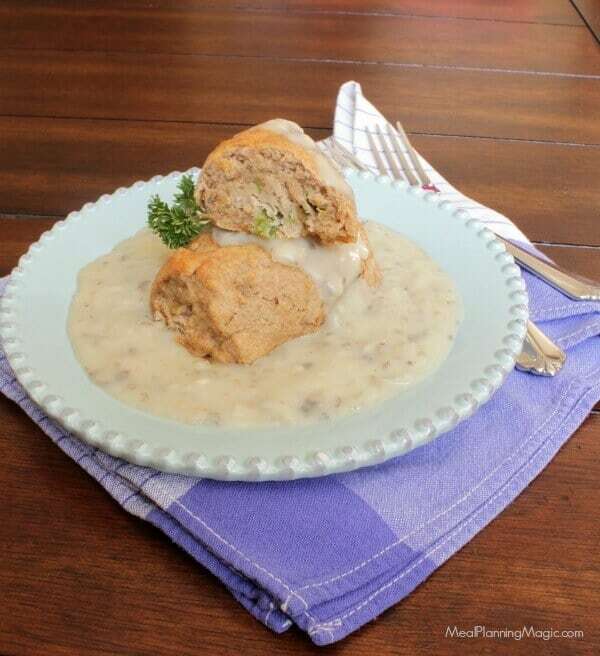 They feature tuna in a tasty biscuit rollup served with creamy mushroom gravy. I can remember my mom making this recipe long ago when I was a child and it’s something I’ve held onto and made many times over the years. It’s actually one of my husband’s favorites! My kids like them too. These Budget Friendly Tuna Rollups with Creamy Gravy not only taste delicious, they are so simple and easy on the pocketbook, too, as they use few ingredients. I think the most expensive ingredient is the tuna at only about two dollar per can or pouch! What I love about this recipe is that it’s not only budget friendly but it is really quick to put together. I’ve modified the original recipe from my mom and made the biscuit portion with whole wheat flour. I also made my own creamy mushroom gravy (find the recipe I used here) but you can buy canned mushroom soup if you prefer. 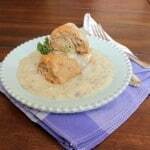 A deliciously simple budget friendly recipe for tuna in a tasty biscuit rollup served with creamy mushroom gravy. In measuring cup, combine oil and milk. Pour oil milk mixture all at once into flour mixture. Stir with a fork until mixture cleans side of the bowl and rounds up into a ball. Using a cutting board or mat sprinkled with flour, smooth dough by kneading about 10 times. Place dough between two sheets of waxed paper, about 12-inches square. Using a rolling pin, roll out until dough reaches edges of paper. Peel off top paper and cut dough into 9-12 squares (I can sometimes get a few smaller squares out of the dough to make up the 12). 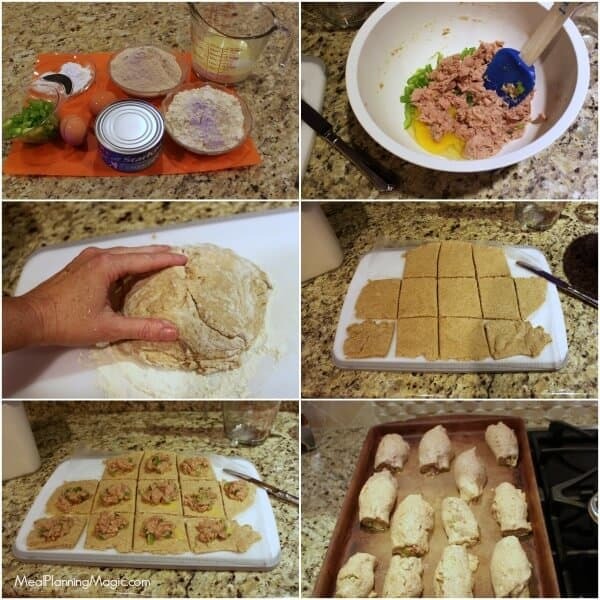 Spread tuna filling over each square. Roll up and place sealed side down on ungreased baking sheet. Bake 10-15 minutes at 450°. Serve with hot mushroom sauce "gravy"
Make ahead tip: In medium bowl, combine dry ingredients. Cover and set aside until you are ready to make the rest of the recipe. It may seem like a small step but one a busy days, every minute counts if you can do some of the prep ahead of time! I hope you’ll give these a try! 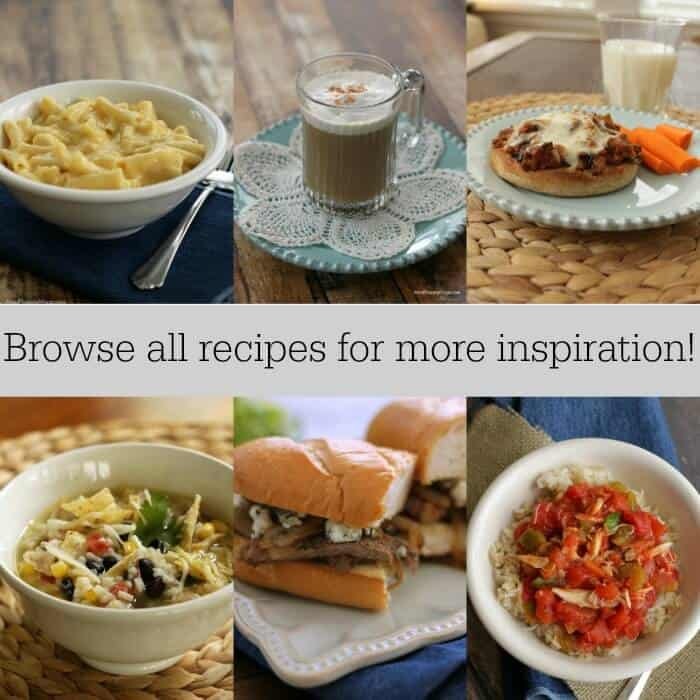 For more budget-friendly recipe ideas, be sure to check out my round up of Budget-Friendly recipes by clicking here.